Right from the publication of his first major work “The Selfish Gene Theory”, Richard Dawkins is never free of controversy. While Dawkins is impeccable as a scholar and an academic, most of his detractors are from the religious and conservative sections of the population. Over the years, Dawkins’ works on evolutionary biology have drawn equally vociferous applause and protest. The last in the sequence of his seminal works is “The God Delusion”. In this book, Dawkins strings together powerful arguments in support of a god-free or atheistic way of life. The rest of the essay will delve into the different faces of this scholarly piece of literature in an attempt to gain insights into the arguments and controversies raised by it. Dawkins writes with such passion that he declares that to be an atheist is a “brave and splendid aspiration”. He argues that belief in a religious faith is not only a folly but a sinful one. 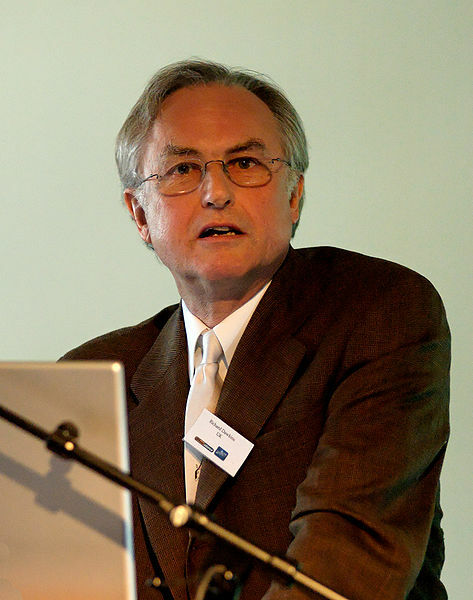 When explaining to his readers where he stands in the atheist/theist spectrum, Dawkins states “I cannot know for certain but I think God is very improbable, and I live my life on the assumption that he is not there.” In other words, Dawkins’ atheism borders on agnosticism. An informed reader will find parallels between Dawkins and Bertrand Russell, the latter being an avowed agnostic. Similar to the yesteryear intellectual, Dawkins reasons that all suppositions for the existence of God need to be discredited. Once this is done, arguments supporting the opposing belief (that God does not exist) can be much easier to construct. Following this logical step, the transcendent qualifiers of religious beginnings need to be questioned. Finally, Dawkins proposes that the highest meaning and purpose to a human life could be achieved without involving supernatural conceptions. Further, religion has been the root of much violence and conflict in the history of mankind than any other institution (Baltimore, 2007). However, not all of Dawkins’ arguments are acceptable to all sections of his audience. For example, two arguments in support of traditional views on existence of God are: 1.the “ontological argument”, which says that God exists as a perfect entity by default; 2.and the “cosmological argument” which states that God is the ultimate cause of this universe. Dawkins’ counter arguments to both these points of view are relatively weak in what is otherwise an excellently constructed set of arguments in the book. So is his engagement in opposition to the “design argument”. Similarly, Dawkins makes the mistake of presuming that people come to believe in religious faiths based on rationality and logical thinking. So, while Dawkins’ logic is brilliant and impregnable, the subject being dealt with is not strictly confined to the scientific realm (Matthies, 2006). Neat and clever the arguments may be, but many merits of the book are overshadowed by the controversies that it attracts. A sentiment expressed by many reviewers is the lack of reverence Dawkins shows to the religious philosophers in general and Judeo-Christian luminaries in particular. For example, he uses the following adjectives to describe the Christian God: “a misogynistic, homophobic, racist, infanticidal, genocidal, filicidal, pestilential, megalomaniacal, sadomasochistic, capriciously malevolent bully”. However, it has to be understood that Dawkins has no personal hostility to the Judeo-Christian school of thought. But since his audience is predominantly European and American, he chooses to pay attention to this one religion for reasons of convenience. Nevertheless, this is not understood by the large number of critics who accuse him of hurting the sentiments of millions of people through the accusations that he makes of their religious faith (Trevor, 2007).